For the last 12 years I’ve been photographing scenes, landscapes, cityscapes, and faces throughout Cuba. The selection of photographs here constitutes my own portrait of this fascinating, complex, living, breathing place. The three images above and 23 images below in the column on the right are being shown from November 10th - December 5th in the Ferguson Center Hall Gallery at Christopher Newport University in Newport News, VA. Click on each image to view in full. Additional images, historical photographs ,maps, and segments of interviews I've recorded with many of the subjects of these photographs, as well as some of my own thoughts, appear on the left. Like any portrait, which might tell you as much about the painter or photographer as the subject of the image, this photographic portrait of Cuba is my own view. The way I hold my camera to capture a photograph, the lens I use, how I frame the subject—and what I leave out of the frame—the particular selection of images presented here, the accompanying text, all of this is the product of my own subjectivities. In the end, though, my aim is to relatively simple: to offer a view, my view, of this place. Over the last several years I’ve spent a lot of time photographing people and landscapes in the central Cuban province of Sancti Spíritus. My wife’s great-grandfather, Ángel García, immigrated to Cuba from the Canary Islands in the early 1920s, and settled in this area. He married a Cuban woman, Justina Madrigal, and they had seven children—six sons and a daughter. Most of his life he was a tenant farmer, growing tobacco as a cash crop, and several other crops for his own family’s sustenance. But after the triumph of the Cuban Revolution in 1959 and subsequent land reforms, he acquired the land he had been working for several decades—about 150 acres in all. As his sons grew up and married, he began parceling up the land among them, first into 33-acre plots, and later into several parcels half that size. Throughout the subsequent decades, some of the sons sold their plots to the state while others turned their plots over to local agricultural cooperatives. Several, however, kept their land private, eventually passing them on to their children, who continue to farm it today. 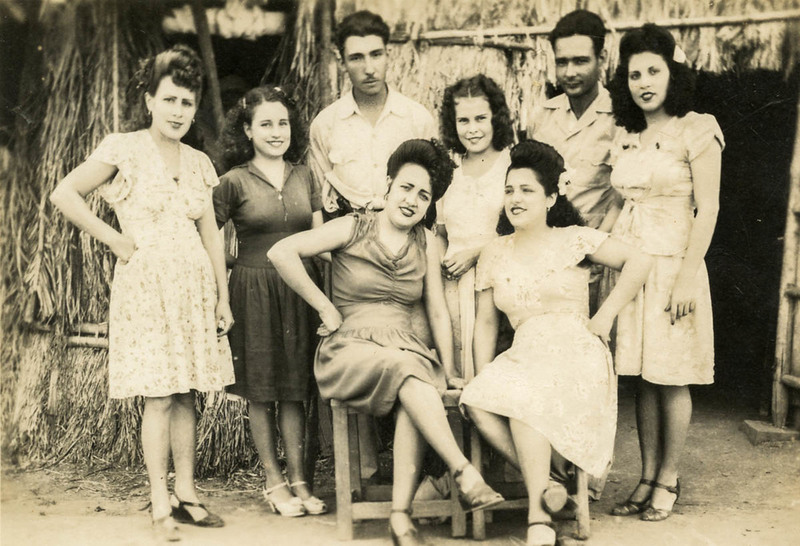 Raúl García (standing, third from left) and his wife Tomasa (standing, second from left) with friends and family in front of a tobacco house in Pueblo Nuevo, circa 1945. 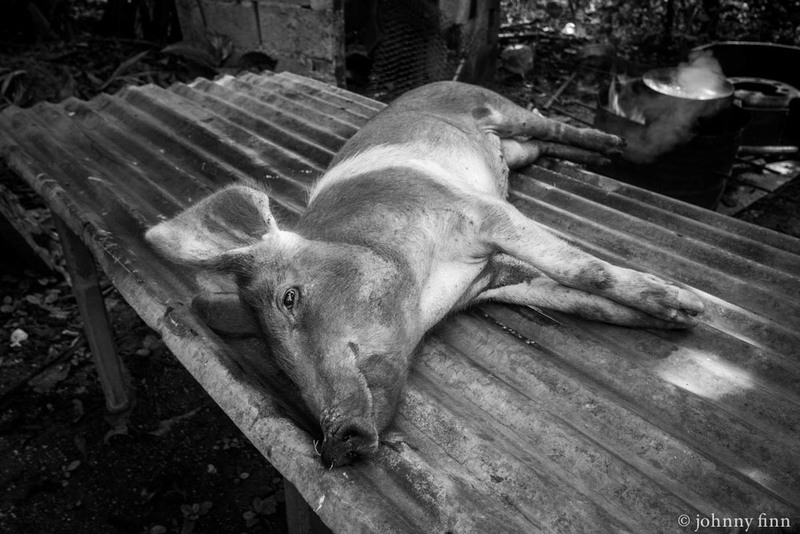 My hope is that these images—some but not all of this family—provide a window into this place in rural central Cuba along a pockmarked country road between the municipal seats of Fomento and Cabaiguán. In addition to the images at the right which are a part of the gallery show, I've added more content below, which I hope will further detail the nuance and beauty of this place. Tradition comes from the family, right? From the parents, the grandparents. In my house, from my dad. 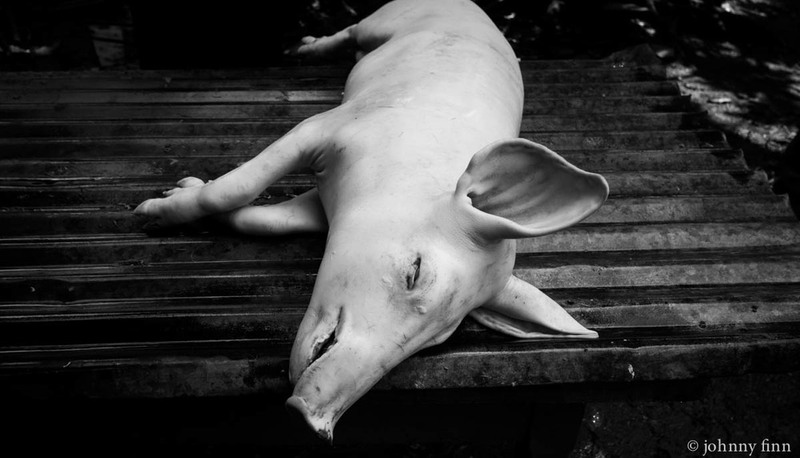 We always roasted a pig on Christmas Eve, December 24. That was the holiday in those religious traditions that we had. At least my family was on December 24, and in the case of my grandparents also the first of January. The first of January because it was my grandmother’s birthday. On my father's side of the family the entire family got together. That was when I began to see the world, no? As we say in Cuban, when I opened my eyes this is what I saw. I'm talking before the triumph of the Revolution in 1959. After the triumph of the revolution that was maintained for several years, I can’t say how many years exactly. At a certain point, as a policy of the country, the celebration of Christmas Eve was banned. July 26 and December 31 were the official celebrations, and we kept those here in the family, too. We would also roast a pig when there was a birthday, or if there was an important visitor. I would say a roast pig recognizes the importance of the visit. It’s not simply a meal. The pig gives a certain connotation to the type of visit. I’ve tried to keep that tradition, we like trying to keep that up. But you can’t not talk about the country’s economic situation. All of this depends on the family’s finances. That’s a reality. That is, economy influences the tradition. That is, the tradition doesn’t just change because we decide to change it, but rather as a result of economic problems. It is a reality. And I don’t think this only happens in Cuba. It can happen anywhere. I’ve always been fascinated by urban landscapes, by how they are produced and lived, and how these landscapes themselves actually play a role in shaping our existence in these places. After all, we live in and on the landscape; we are at one and the same time contributing to the on-going production of landscapes, and being affected by them. What’s so interesting to me, both as a photographer and a geographer, is that we oftentimes don’t even notice the landscape; it’s just there, the seemingly simple stage upon which social life unfolds. In this short selection of photographs of Cuban cityscapes, as with all my urban photography, my goal is to draw out the on-going and complex relationship between people and the physical places that we inhabit, and how that relationship is mediated, complicated, and utterly intertwined with the political, economic, cultural and social structures present in society. To the right are the photographs that are currently showing as a part of my exhibit in the Ferguson Center Hall Gallery. Below are many more that I think really get at this ongoing and living relationship between humans and the spaces and places we inhabit. Eating is one of the most intimate human acts. Multiple times per day we—quite literally—internalize myriad and multi-scalar political, economic, and environmental processes far beyond our immediate reach. In a broad sense, food links every individual into local, national, and global networks of production and consumption. At the same time, taken collectively, our individual food choices make us active agents in shaping both the political economy and the environment. 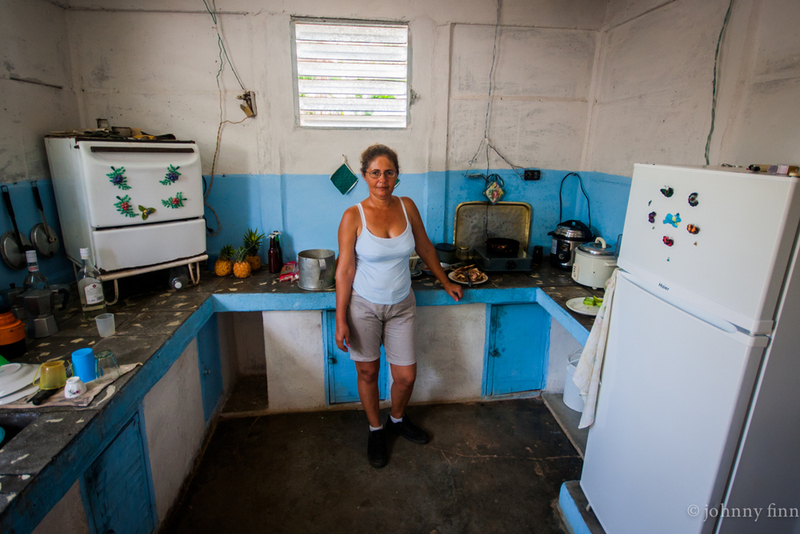 Over the last three years I’ve been compiling a series of photos of Cubans—mostly women but some men—in their kitchens. The idea behind these photos is that kitchens are intimate spaces; they are the home’s place of sustenance, of life. But kitchens are also spaces where each of us, through the act of preparing and eating food, taps into those much broader cultural, economic, and political forces. In these photographs I’ve tried to capture this dual existence of kitchen spaces: deeply personal and simultaneously reflexive of forces far beyond our immediate control. 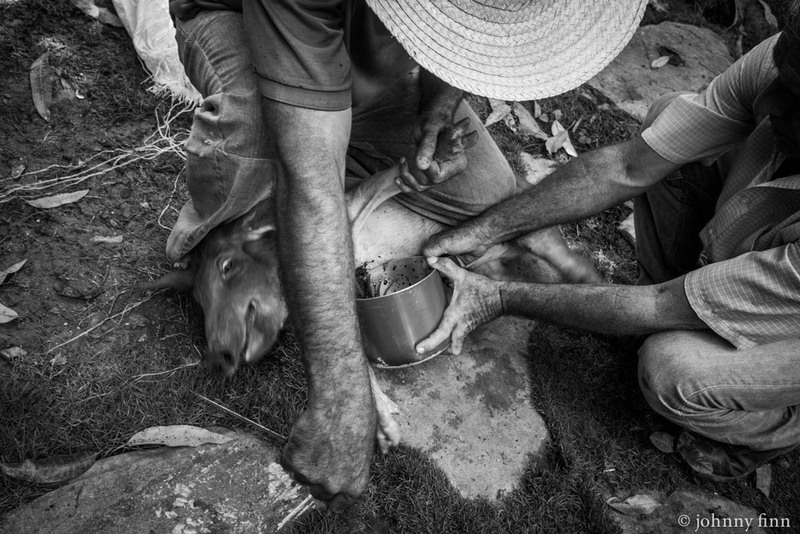 The photos—I think—challenge the supposed egalitarian nature of Cuban society. In addition to inviting me into their kitchens, many of these individuals also allowed me to record conversations with them about these intimate spaces, about food, about the joys and struggles of feeding their families, and about life in general. Here are a few images from the gallery opening. Thanks to CNU photography student Brenda Poole for the images.